Three times winner Johan Museeuw thinks that the Molenberg could be a crucial point in the Tour of Flanders. The climb with three hundred metres of cobbles and a maximum gradient of 14% is often the first climb of the race. Normally at half distance this year it will be just 45km from the line. No doubt it will be important in that for some the race will be lost on the climb but it does seem too far for a winning move. 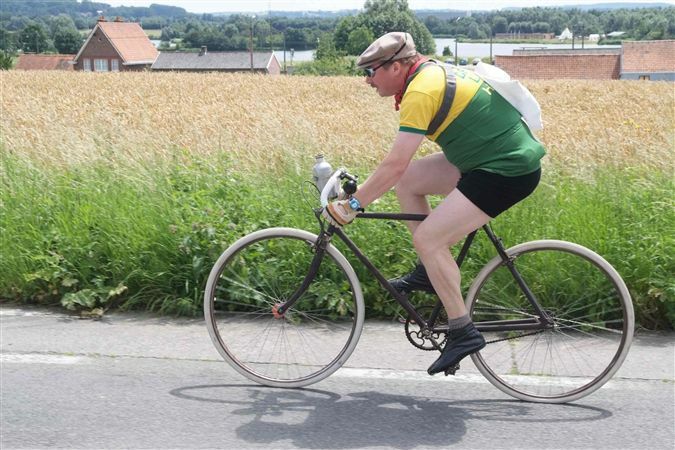 I recall when Museeuw attacked on the Tenbosse with 30km to ride and that seemed a risky move, although it paid off for the Lion of Flanders. Stijn Devolder, who is chasing a third win, thinks that the main contenders will still be together at the bottom of the Muur at Gerardsbergen 15km from the aankomst but by the chapel at the summit the winner will be known. Riccardo Ricco’s babymother Vania Rossi who tested positive for Cera at the Italian cyclo cross championship on 10th January has declared her innocence. As “evidence” she says she would not dope as she is breast feeding her baby son who was born in July and would not endanger the child’s welfare. Now I am not putting Cav in the same boat as Crouchy but, let’s face it, if he was still a Douglas bank clerk it is unlikely that he would have pulled the stunning Fiorella Migliore. The Paraguayan beauty was Miss Italia nel Mondo in 2008 and I feel I must congratulate the judges, and indeed the Manx Rocket on their superb taste. have never participated, or even appearing as extras in films, performances, shows in general, pornographic. How about that? the lucky Manx spurter has got himself a girlfriend that come with a guarantee of good behaviour. Not many can say that in modern Britain! As it is not fit to ride a bike I have been wasting even more time at the computer and in particular the Amstel Gold race of 1968. First the facts; the winner was Harrie Steevens from Roger Rosiers with multi monument winner Jo De Roo fourth. What follows may be true if I interpreted the mangled Google translation of an old article correctly. In the bunch that day in 1968 were Henk Nijdam, Eddy Museeuw and Johnny Schleck fathers of Jelle, Johan and Frank all three winners of the Amstel Gold race. Spooky eh? Quick Step wear short shorts? 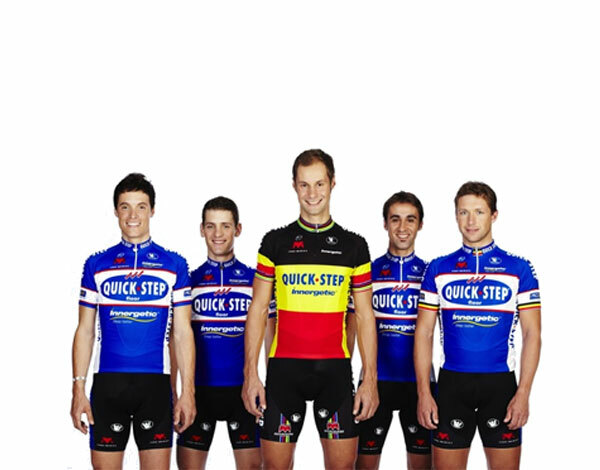 Firstly I must say that I love the retro look of the 2010 Quick Step kit and I think black shorts are great but what about the length? Aren’t they shorter than in previous years? Not quite as scandalous as Sean Yates wore perhaps but certainly a revealing mid thigh look.